Of the five oceans on Earth, the Indian Ocean has the highest year-round temperatures by far. With landmasses on three sizes, varying surface circulation and no arctic contact, the waters remain between 72 and 82 degrees Fahrenheit across the upper layer. The pleasant warm water ocean temperature benefits all organisms in the region, from phytoplankton to dugongs. The excellent growth conditions for phytoplankton is especially helpful due to their positive influence on the marine food web. Fishing fleets from around the world come to the Indian Ocean to catch tuna, shrimp and other valuable catches due to their abundance in this region. Tourists also benefit by having the pleasure of visiting the many beaches around the Indian Ocean. Popular local tourist destinations, such as the Maldives and Mozambique, attract millions of visitors each year. The gorgeous beaches boast excellent weather conditions, incredible views and ample opportunities for oceanside adventures. Scientists keep an eye on average ocean temperatures by measuring the temp at the surface layer, which extends down about 1200 feet. The original measurement method of using ships’ input ports provided inaccurate information due to depth variances and ocean stratification. To acquire accurate ocean temperature forecasts, scientific teams added satellite tools and ocean floats to the measurement methods. By utilizing these three methods to measure ocean temperatures at the surface, scientists could create a baseline for the comparison of future measurements. Continued monitoring alerts scientists to remarkable changes, such as the ongoing upward temperature trends noticed in recent decades. Biologists, oceanologists, climate change experts and many other scientists utilize the recorded data in their efforts to reach goals in their field. The measurements revealed the warmest to coldest oceans across the world and the potential temperatures changes on the horizon. 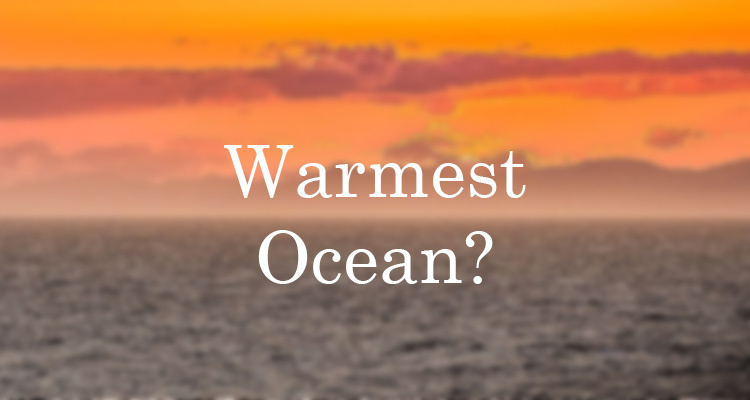 According to their surface temperature, the warmest to coldest oceans, the Indian Ocean and Arctic Ocean respectively, have a temperature difference of nearly 100 degrees Fahrenheit. All five oceans have different surface temperatures due to their unique geographical features, currents and positions on the Earth. Their varying temperatures helps different types of life flourish, in addition to supporting human activities. With average surface temperatures ranging from 72 to 82 degrees Fahrenheit, the Indian Ocean easily takes the win for warmest ocean on Earth. This ocean spans across 70 million square miles with three sides bordered by large landmasses. The monsoon climate helps control the surface currents, which have a relatively abnormal mid-year reversal pattern. This ocean has an average depth of 12,000 feet, though its lowest point, Java Trench, reaches over 25,000 feet in depth. The warm waters support large phytoplankton blooms that benefit the local marine life and inspire commercial fishing ventures. Although the Pacific Ocean is the largest in the world, it is also the second warmest due to its volcanic activity. At its edges toward north and south poles, water temperatures can reach down to 28 degrees Fahrenheit. The majority of this 63 million square mile ocean, however, has consistent temperatures in the low 80s. On average, depths hit 14,000 feet, though the lowest point, Mariana Trench, reaches just under 36,000 feet. Ocean life is teeming within these waters with over 60% of all fish catches coming from the Pacific. The 41 million square mile Atlantic Ocean features slightly lower temperatures than the Pacific due to increased contact with arctic waters. 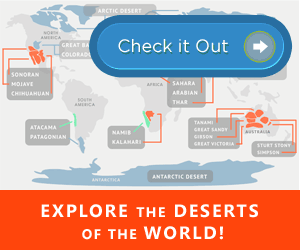 This ocean is largely split into two distinct northern and southern sections by the Mid-Atlantic Ridge, which spans over 24,000 miles in length. The max depth of this ocean is just over 27,000 feet at the Puerto Rich Trench, though the average sits closer to 12,000 feet due its numerous shallow regions. As home to the Bermuda Triangle, the Atlantic Ocean has an air of mystery unmatched by the others on Earth. Surface temperatures of 28 to 50 degrees Fahrenheit are common in the Southern Ocean. This ocean features ultra-cold Antarctic waters that are warmed slightly by sub-Antarctic waters. Extremely large mobile icepacks form in the cold months and disappear almost completely by the spring season each year. The low temperatures in the Southern Ocean allow water to evaporate at an accelerated rate year-round. The formidable South Sandwich Trench hits a depth of over 23,000 feet, though most of this ocean only extends down 13,000 feet. The frigid waters remain home to blue whales, emperor penguins, leopard seals and many other incredible animals. The 5.4 million square mile Arctic Ocean has average temperatures of 28 degrees Fahrenheit, though its lowest temperatures drop far below that range. Not only is the Arctic the coldest ocean, it is also the smallest and has the shallowest depths. The salinity of the water fluctuates wildly, depending on the ice content of each particular section of the ocean. The ice covering section of this ocean shrinks by at last three percent every year due to global warming. With time, especially as the speed of global warming accelerates, these temperature figures may change wildly and alter this list of the warmest to coldest oceans on Earth. Although uncharacteristically warm ocean temperatures to swimmers and beachgoers alike, the repercussions for the planet as a whole are forecasted to be devastating. Through the measurement of ocean temperatures, scientists noted a pattern that coincided with an influx of weather changes and temperature changes on land. Predictive models for global warming tell a tale of tragedy for the Earth if the causative factors are allowed to continue on their destructive paths. Scientists currently predict of a potential seawater rise of several inches from ocean glaciers melting, which could destroy habitats and decimate communities. Achieving control of the causes of global warming is the best way to limit the temperature rise and resulting ice melt, though many warn it might already be too late.